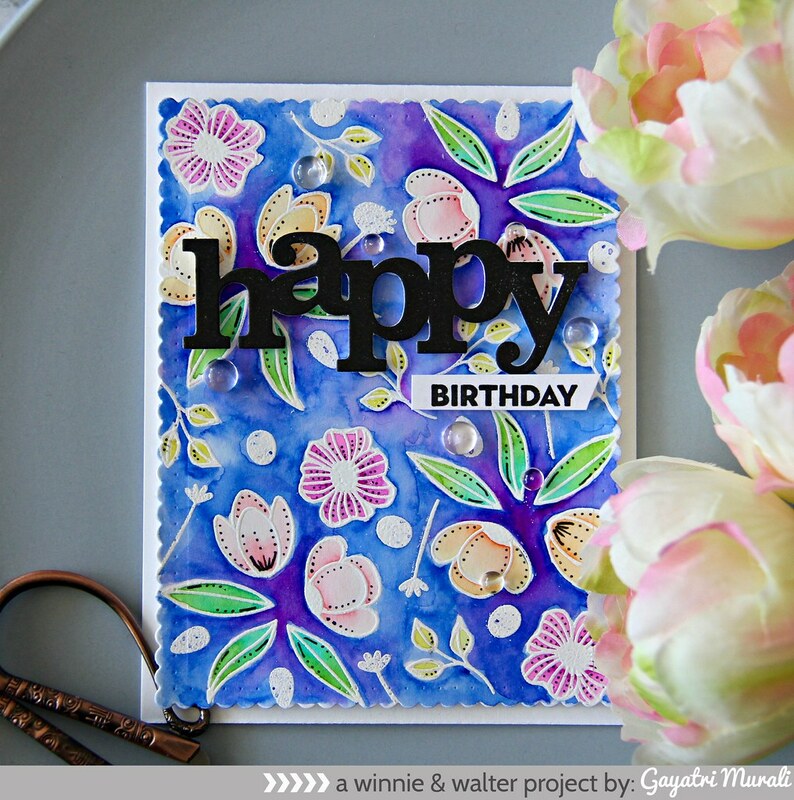 Today I am showcasing a new stamp set called In Bloom: Carolina’s Florals with Angelica Suarez. I have two cards using the stamp set. 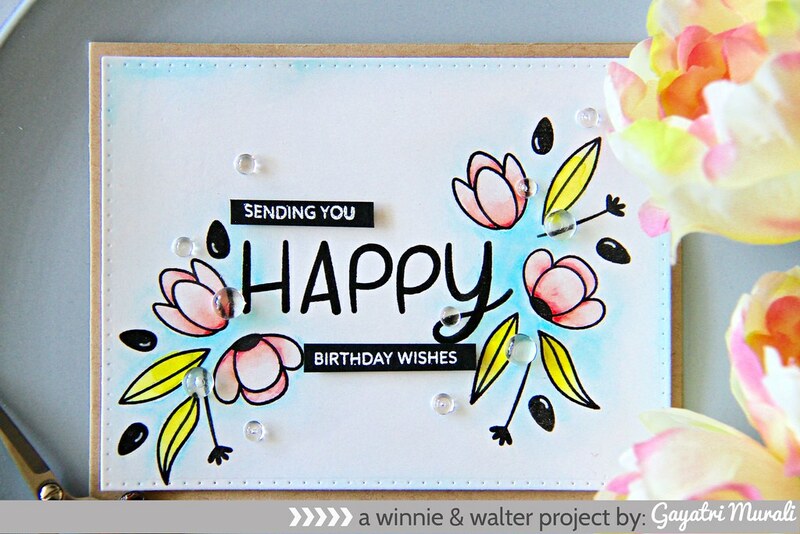 On the first one I used the stamp set to create a background and on the second card I used the stamp set to frame the sentiment. I die cut a watercolour panel using Audrey’s Cutaway and white heat embossed the images from In Bloom: Carolina’s Floral stamp set all over the panel. Then I used Zig Clean Brush Markers to colour the images and background. I love the intense colours of blue and purple on the background. Makes the flowers and leaves stand out. I adhered the panel on a white card base. 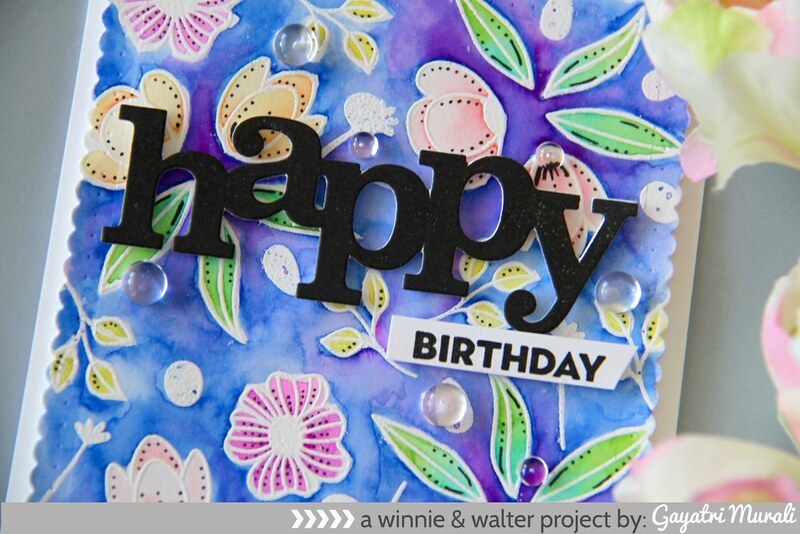 The sentiment is die cut using the older In a Word: Happy Cutaway die. The smaller sentiment is stamped on a strip of white cardstock and adhered below the larger sentiment. I embellished the card using Clear Droplets. Simple and packs a punch with the colours. Second card focuses on the sentiment and using the images to frame the sentiment. I die cut the Bristol cardstock using Katherine Cutaway and used MISTI to stamped the imaged from the new In Bloom: Carolina’s Florals stamp set using Versafine Onyx Black ink. Then I coloured the image and background using Zig clean colour brush markers. I kept the colours pastel. 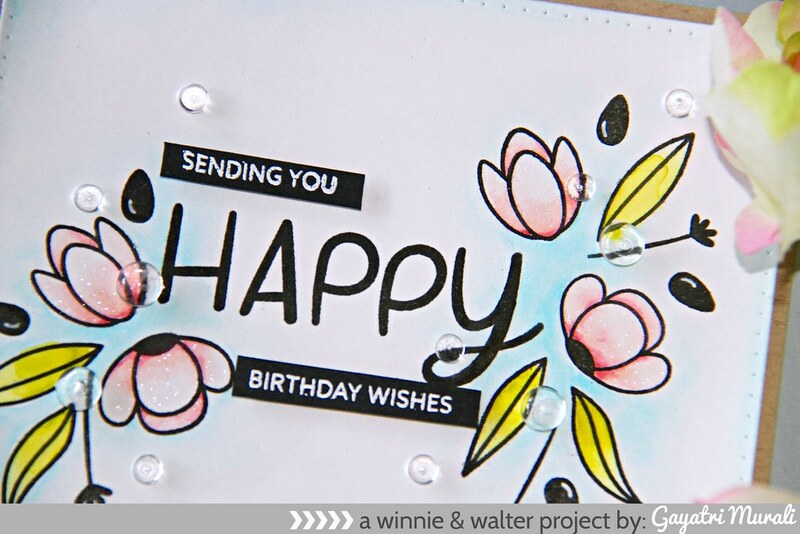 The smaller sentiment is white heat embossed on strips of black cardstock and adhered using foam adhesives. Again embellished with clear droplets. I adhered this panel on a Kraft card base. Your cards are fabulous. Love the dark background. Beautifully done Gayatri. I really love the first one with the blue and purple background. It is so eye catching. Thank you. 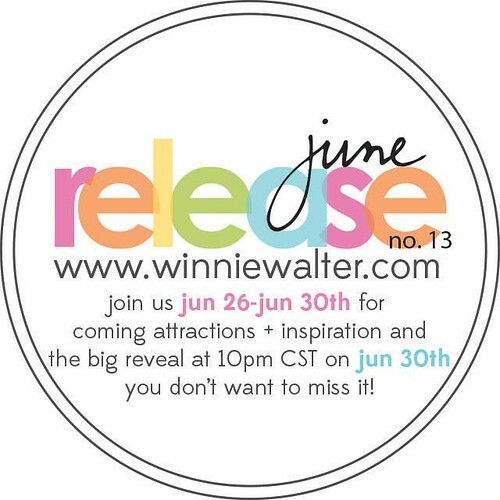 Hope you have liked Winnie &Walter facebook, twitter, pinterest and instagram. I have merely copied and pasted the details from Winnie&Walter Blog.